When one thinks of the US celebration of Thanksgiving, besides turkey and dressing and cranberry sauce, Plymouth, MA should also be on one’s mind. My wife and I, and our first son, visited the area back in the fall of 1977. We were on a one-year odyssey of seeing the United States, traveling in and living out of a van. 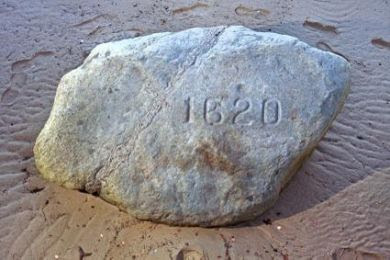 Memory fails to serve me correctly as to what we did there, but I do remember seeing Plymouth Rock. The city of Plymouth was founded in 1620, and of course, was the site of the first Thanksgiving celebration which will once again be observed on Thursday. The town continues to be a popular tourist attraction because of its historical significance and is said to host a lot of visitors during the last week of November each year. To everyone preparing for the annual feast and anticipated gluttony, all I can say is Happy Thanksgiving and be especially thankful for the joys of today. Has it really been a half-year since our cruise?